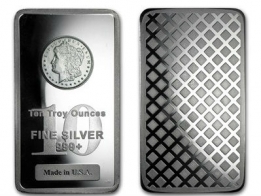 These bars are really popular with silver investors because they are a low premium 1 oz silver bar. The bars are available in 1 ounce, 5 ounce and 10 ounce sizes. 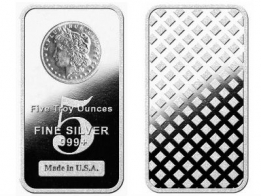 The 1 ounce USA minted bars are manufactured primarily by Silvertowne, a large American refinerly, however other refineries also produce the bar. These bars are sold sealed in plastic to prevent tarnishing. 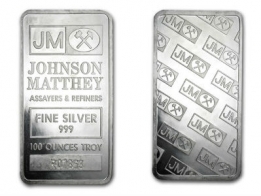 These 1 oz low premium silver bars come in sheets of 10 pieces. 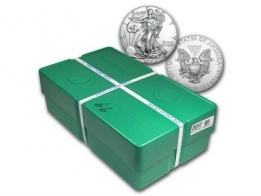 They are popular as a low premium silver bar option for individauls looking to buy silver bars for investment.